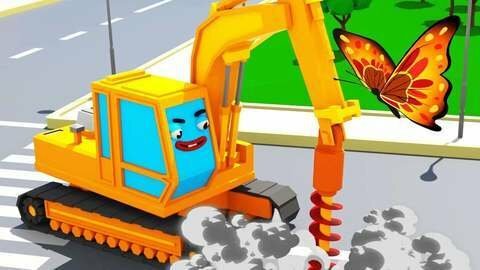 The yellow Excavator’s hand is replaced with a drill in this 3D car cartoon for kids to escape the police car. The Excavator tries to catch the butterfly that landed on the Police Car but ends up hurting it and losing its hand. It finds a drill and replaces its hand with it to escape the police car. Have more fun watching other videos that you’ll find for free at SeeZisKids.com.